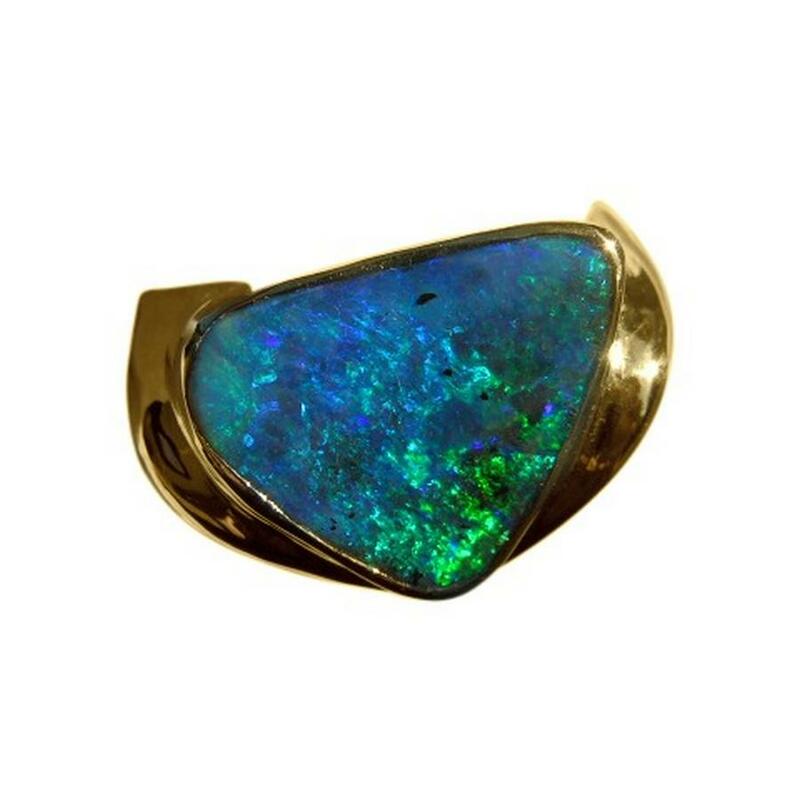 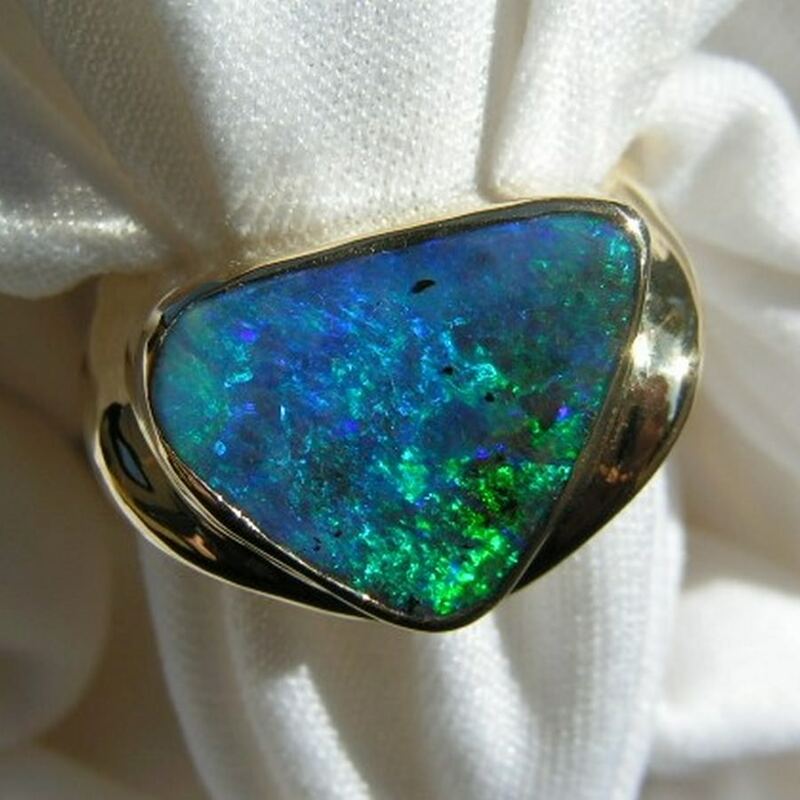 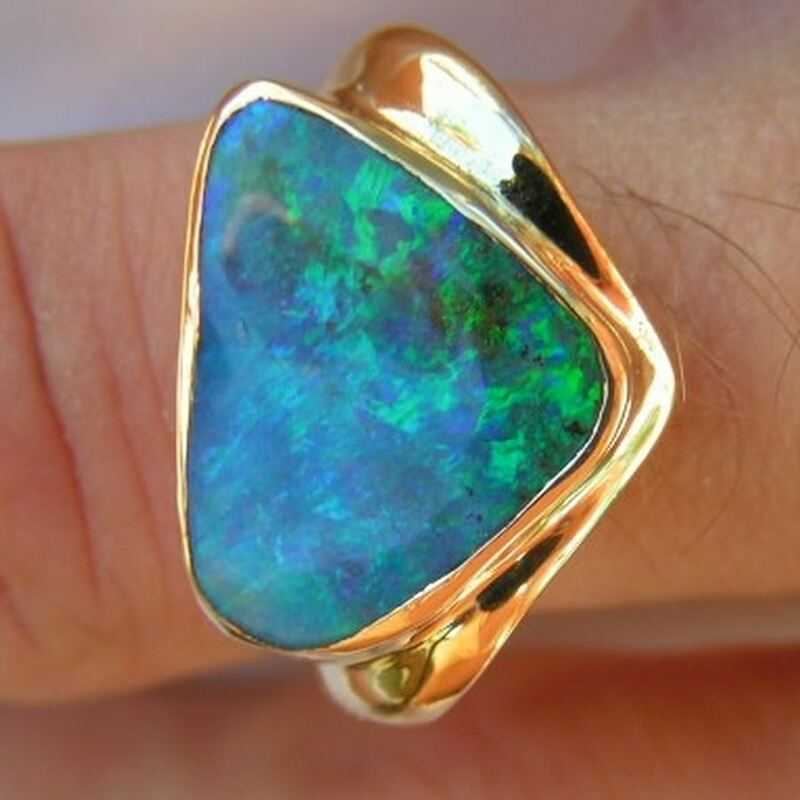 A quality mens Opal ring handmade in 18k Yellow Gold with a triangular cut Boulder Opal displaying colors of the ocean. 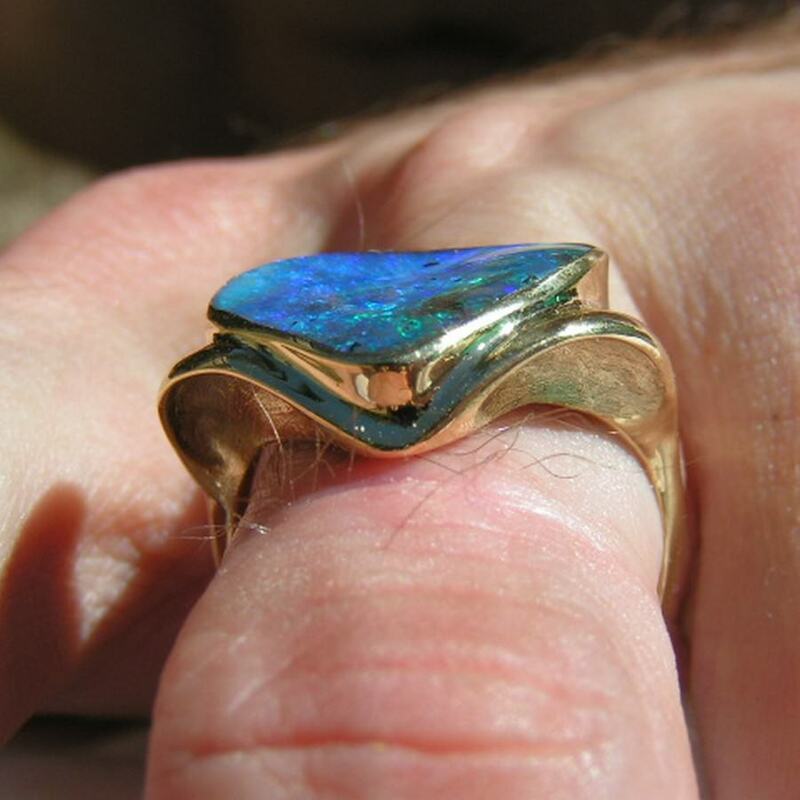 A substantial Opal ring for men that is impressive on the hand with a heavy 18k Yellow Gold ring featuring a vibrant Boulder Opal. 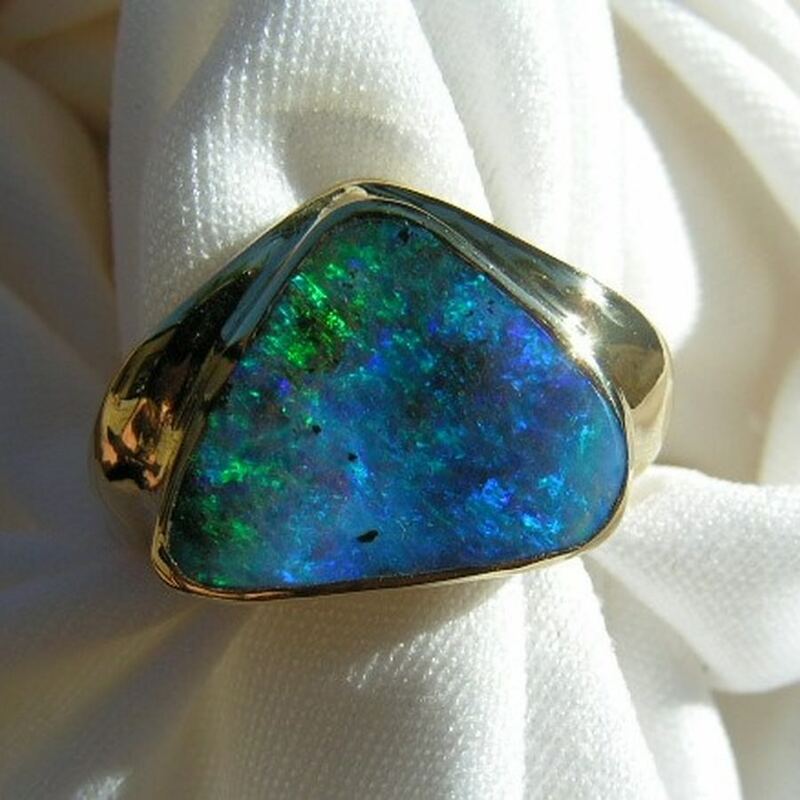 The Boulder Opal displays shades of Blues and Greens like the deep ocean and measures two thirds of an inch by almost half an inch. 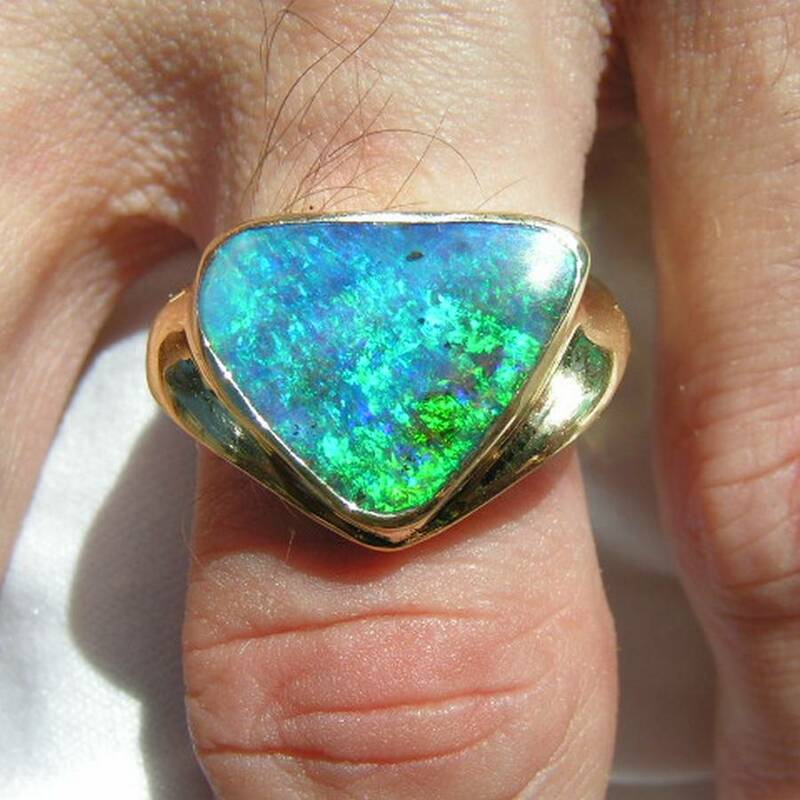 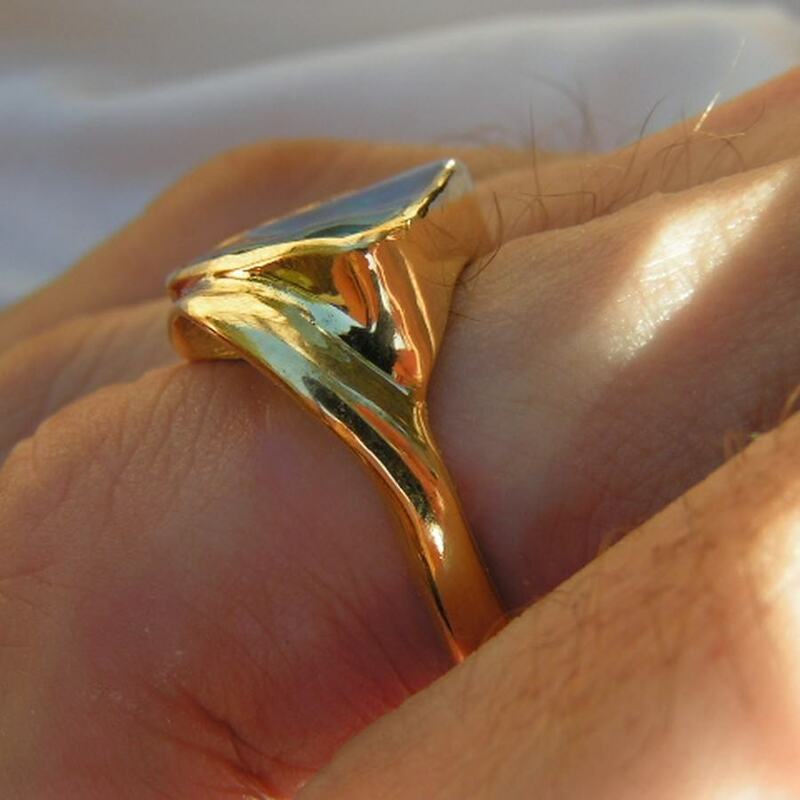 The Gold ring has been carefully handcrafted around the Opal and weighs over 10 grams of 18k Gold so you will feel this when wearing and it is sure to be noticed. 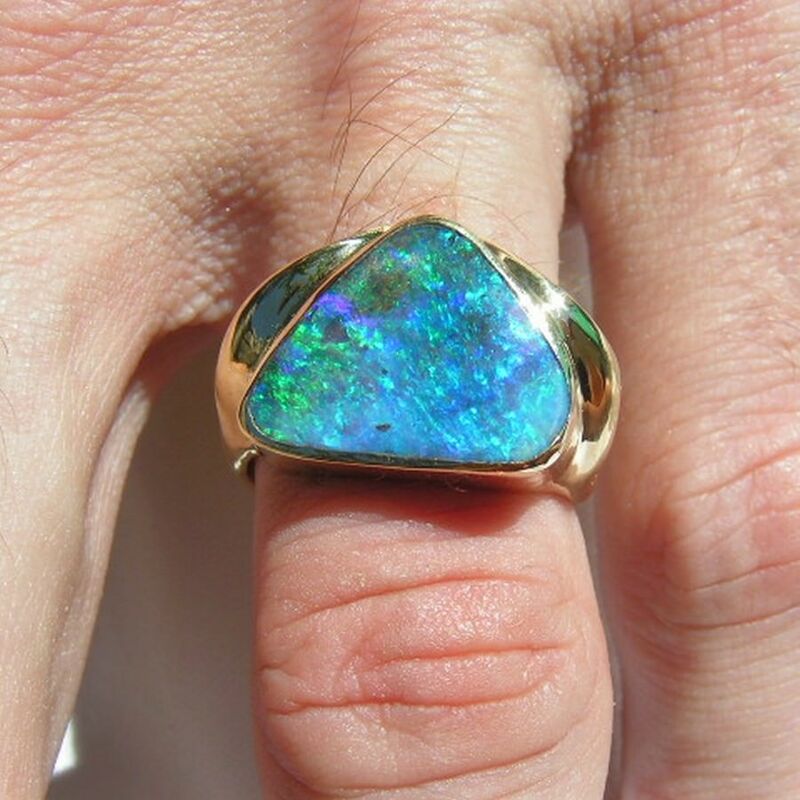 This unique Opal ring looks to be a snake head and is aptly called Taipan's Bite with the triangle cut Opal and Gold ridge on the top of the shank. 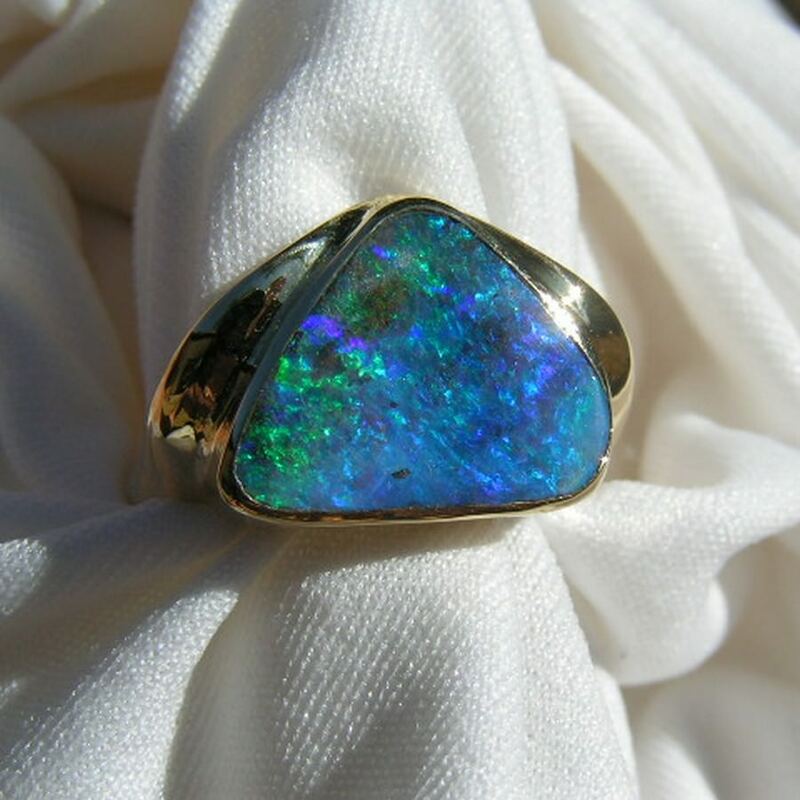 This quality Opal ring is ready to ship in USA size 9 ¼ however if you need a different ring size, please contact your local reputable jeweler to confirm he works with opal and can resize this ring before purchasing.